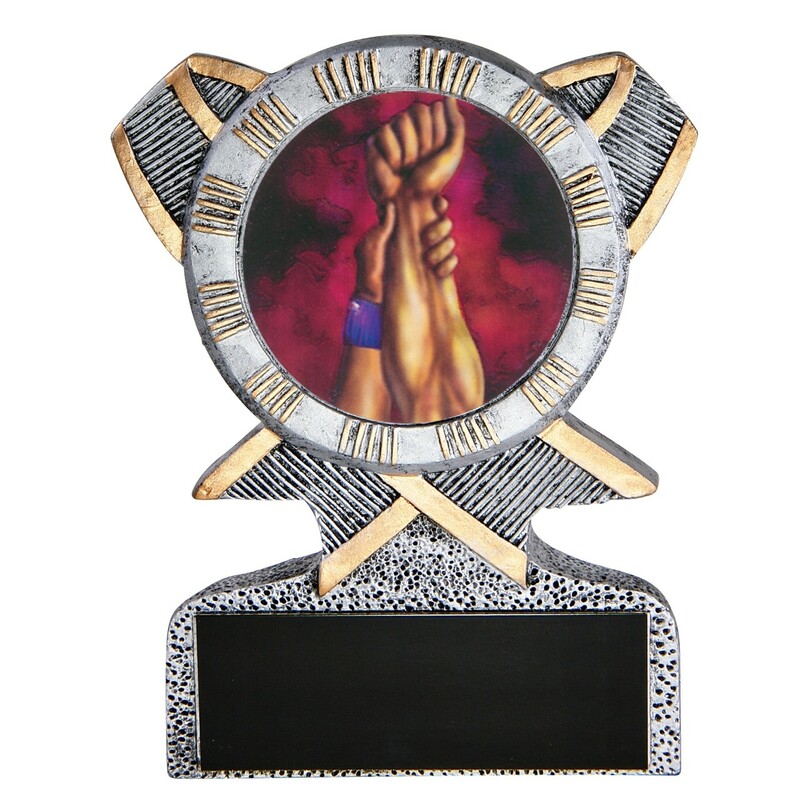 After a hard day of competition, reward your fighter with the Wrestling Resin Award. Wrapped in a victory ribbon design, this pewter-colored resin features a full-colored holographic image of arms raised in the classic wrestling winner's pose. Price includes 3 lines of engraving.